Behind Brands™: An interview with Brit Blankenship from Matchstic. We sat down with Brit Blankenship, the associate design director at Matchstic in Atlanta, to talk about her love for the craft of design and how she and Matchstic approach a brand identity project. Early in college, our graphic design program took a studio tour. I didn’t know much about branding until we spent some time at an identity house, Matchstic, where I actually work now. Though my career has been solely focused on brand building, the mixture of work (from naming to design), the variety of media (from print to web), and projects for a wide-range of industries keeps me ever-intrigued. Since I consistently solve brand problems, there are patterns, but thanks to a number of variables in this work, no two projects could ever be the same. This notion particularly thrilled me, as I was mid-process of earning degrees in design, journalism, and photography and couldn’t quite make out which I best preferred. When it came time to jump into my career, I got my start at a small branding firm specifically seeking opportunities for cross-collaboration. I saw that small teams offer fantastic role variation and tend to be keenly scrappy. Though my career has been solely focused on brand building, the mixture of writing, naming, strategy, and design projects, along with the variety of clients and industries, keeps me ever-intrigued. Sure, there are patterns to spot when solving these kinds of problems, but thanks to any number of project and cultural variables, no two projects could ever be the same. This balance between focused rigor and creative flexibility is a sweet spot for me. A perfect brief sounds a bit boring and inaccessible. A solid brief makes sense but is a bit unexpected. It’s succinct and packs a punch with each expression selected. It’s strategic and creative. It’s aspirational, but also realistic. It’s created collaboratively with the client, yet supported by rich insight beyond what the client might supply. It’s aware of the zeitgeist and intuitive toward an appropriate audience. 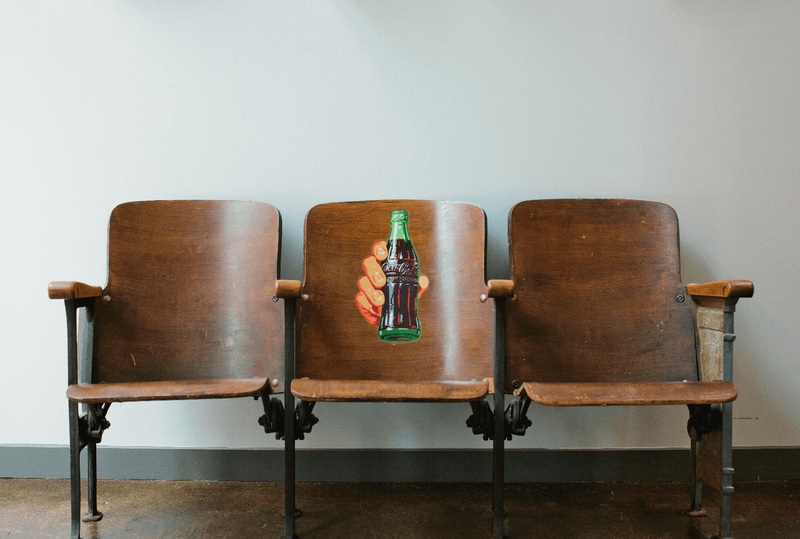 It’s specific and in-tune with audience needs and the cultural context. It’s a breeding ground for concept without being so developed that concept is cornered. It looks like a page I can read without being overwhelmed, but supported with pages beyond pages of brand strategy that backs up every decision. You recently did the Gresham Smith re-brand. How do you creatively approach a project like that — from beginning to end? Our team worked closely with Gresham Smith for nearly a year, establishing a dynamic relationship and learning all that we could about the company, its history, and its breadth. Pausing at the bicentennial anniversary, we were inspired by the trajectory of the company and the quality of work being done by their team of designers, architects, and engineers. In search of the essential, we dug into hours of qualitative conversations with folks like key stakeholders and employees. We looked at the marketplace and audited their existing brand. We assimilated our findings into key decision points, which we led their team through, in order to reach clarity on the direction of the work. They made bold decisions, culminating in a tight, meaningful strategy. We were then able to make clear decisions like shortening the brand name and firming up other inconsistencies to achieve stronger unity among the sprawling organization. Without a cohesive brand language or guidelines prior to this process, Gresham Smith invited the idea of clear parameters for their marketing and communications teams to confidently and creatively work within. Our identity concepts hinged on the brand promise and tagline, “Genuine Ingenuity” balancing a salt-of-the-earth relational style with truly community-altering solutions. This sharp, yet soft phrase inspired the shapes in the brand mark, the color palettes, the photography, and essentially most every other design decision we made. With the core brand intact, we further collaborated on brand trainings, a web relaunch, brand relaunch, print collateral, sale materials, a brand essence video, swag and an interior design approach for their offices. It was incredibly fulfilling to work with their team from the big picture through the details to ensure the brand and the organization was bought-in and set up for success. Engaging relationships unlock wonderful possibilities. 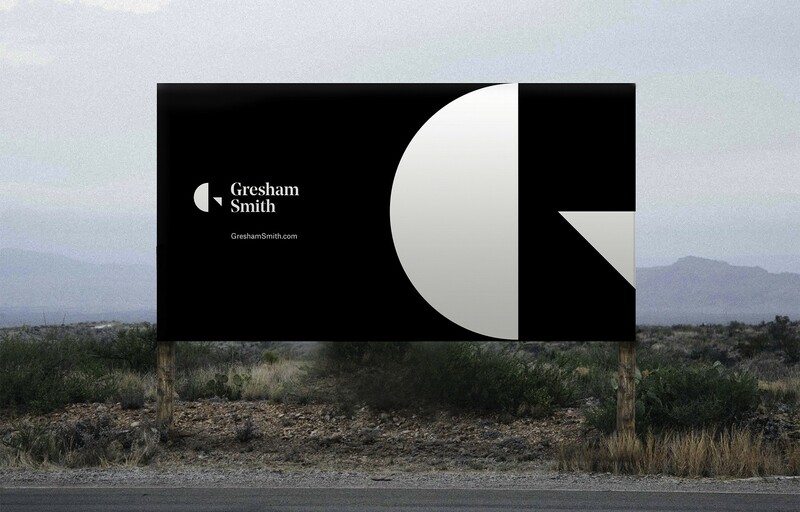 Sign for Gresham Smith. Photo by Matchstic. The preferred client/studio relationship is one of respect and trust. Each is an expert in their own right, with a lot to offer the collaboration. Ideally that mutuality extends to the the level of taste and barometer towards risk. If we’re going to go all-in on an ideal — the timeline is tight enough for vigor yet long enough not to sacrifice creative process. Hopefully both parties are interested in creating something different and are more concerned with experimentation and leading than status quo or following trends. My preferred approach begins with research to establish empathy, awareness and deep understanding. Becoming a student of the client’s industry/product/company can be absolutely fascinating — every time — if you are open, and truly care. Data, interviews, insights, and further analysis solidifies confidence in the right objectives. By articulating a clear strategy, the approaches moving forward become objective. I see smart parameters as confidence boundaries that ultimately allow me greater freedom than guesswork. Armed with objective footing, and engaged in creative intuition, the identity concept phase is my absolute favorite part of the design process. If we’ve done our job right, we will find ourselves floating between curiosity yet tethered to grounding insight. It’s a place of openness where all kinds of notions and ideas are possible. Concepting offers a chance for sensible solutions and risky directions to coexist before narrowing into a singular direction for a brand. What do you or Matchstic do differently than others in regard to brand identities? I appreciate Matchstic’s continual focus on the arena of brand identity, in a space where it would be easy to extend into other offerings. The confidence to say “no, we aren’t experts with that, but we’re happy to introduce you to our friends ___ who are,” is empowering. Beyond this level of focus, the depth of expertise in each of our primary areas, yet the fluidity between groups of experts is what makes the work holistically strong. Not only can we provide our clients with the right business objective, but we can make a captivating brand voice or a unique product name and build it from the ground up, with beauty. Our design approach does not hinge on aesthetics or intuition alone, but is supported with design thinking and logic. But can I claim that we are the only firm with these attributes? No. So, what I think is a refreshing approach to brand identities, is the down-to-earth, relational experience of partnering with us. Where other firms don the lofty expert hat, Matchstic sees eye-to-eye with our partners, creating mutual respect, and demystifying industry jargon to relate to our clients and partners at an empathetic human level. It’s easy to talk in brand-speak when you’re engulfed in it every day, but to communicate complex problems to one outside the realm, is more difficult and more grace-filled. We want our work to be accessible so that it will actually work and live and make change. Showcasing the heritage of Atlanta in the Matchstic offices. Photo by Matchstic. With every passing project, I see the value of guidelines increase. The idea that creativity flourishes best within guides, and the idea that rules, if mastered, can be wonderfully broken, are two concepts I’ve seen taught since elementary art class. Early in my career, I mistook brand guidelines as an invention by the designer to keep their creation precious, and guard from corruption. I’ve come to realize this tool is the power and the desire of in-house brand teams; equipping them with yeses and no’s needed when navigating internal requests. Brand guidelines are a communication bridge, not between the agency and brand team, but between the brand team and their partners, new hires, and themselves. Guidelines are unifying and like I mentioned before, they offer freedom because they supply boundary. In my opinion, guidelines should be living, updatable, easy to use and flexible. The hardback book has been long replaced by content management systems, identity sites, and tools like this. In the past couple of years I’ve been mulling over the tender line between appropriate and unique. Pushing up against the confines of ‘expected’ with the hopes of ‘differentiated’ is a challenge in a world filled with evolving consumers. Fluid product landscapes and accessibility/appreciation of/expectation for good design will continue to push the envelope on what it means to be relevant enough yet different enough. 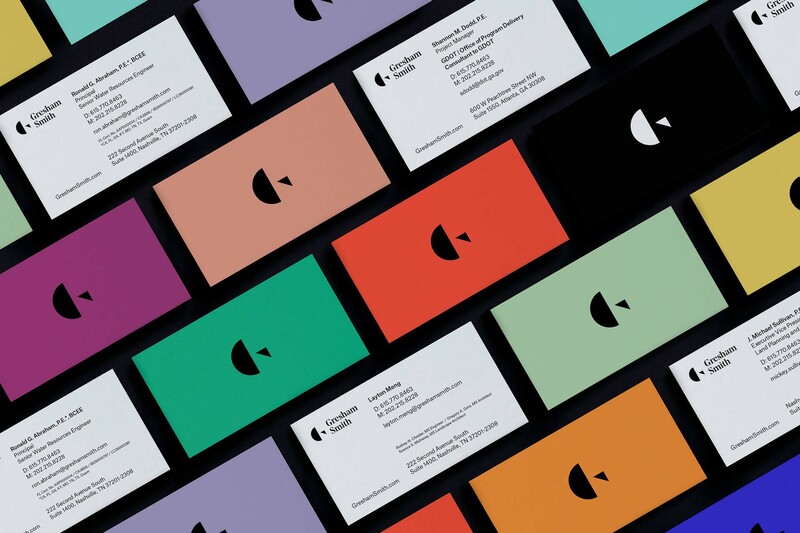 Has brand identity design changed in the recent years? What do you expect for the future? I look at designers like Lance Wyman, and think of the weight and contribution of their long careers. When I do this, I see identity design is still much the same as the giants we aspire to — it’s a memorable name, a meaningful mark, with a supporting, expressive system, applied consistently, functionally and with empathy toward the audience. Yet, when I see data driven identity systems and technological innovations merging with new identity approaches, I am enthralled by the possibilities we have at our fingertips today, and in the future. I’m interested in rethinking everything. 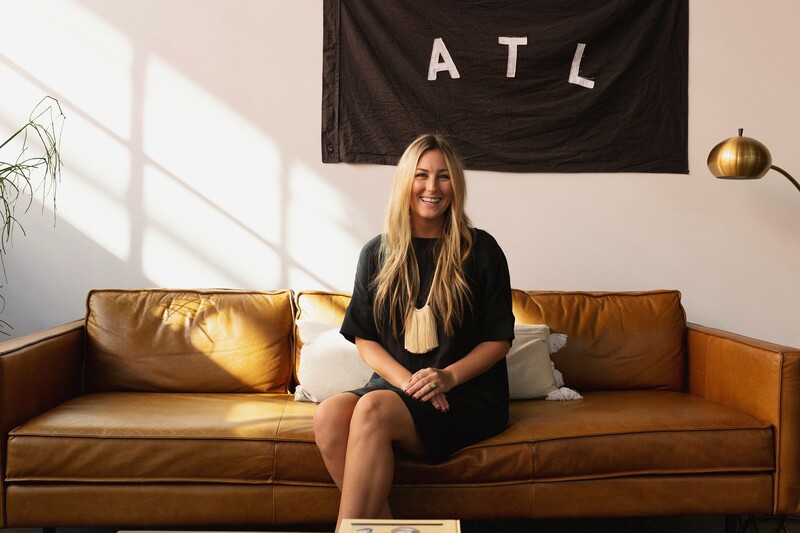 Brit Blankenship is the associate design director at Matchstic in Atlanta. Matchstic is a brand identity firm that leads their clients to brave decisions. You can read more about them here.